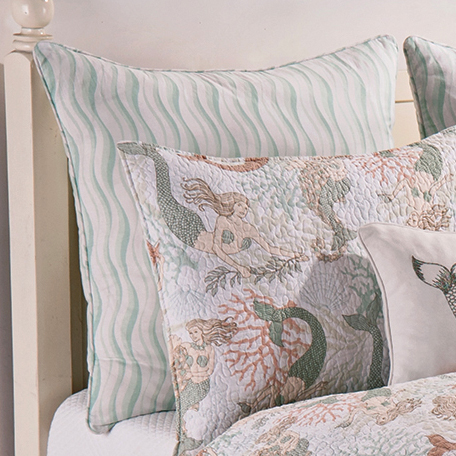 The Blue Green Wave Euro Sham is cotton/poly with a multi-tone blue-green wave design. Machine wash. Measures 27"W x 27"L. ~ Ships from the manufacturer. Allow 1 week. Cannot express ship.